The drumbeat of bad news for President Donald Trump hasn't been good for his most prominent backer in the media. While Fox News Channel's Sean Hannity will end 2018 as cable news' most popular personality for the second year in a row, he's been slumping in the ratings since the midterm elections and ominous stories related to Special Counsel Robert Mueller's investigation of the president. His show averaged 2.76 million viewers since the election through Dec. 17, down 19 percent compared to the previous month, the Nielsen company said. Among the 25-to-54-year-old demo most coveted by advertisers, he's down 30 percent. Competitors Rachel Maddow on MSNBC and Chris Cuomo on CNN are up in each measurement. Maddow has been beating Hannity outright in December, a turnaround from October. During that month, when Supreme Court Justice Brett Kavanaugh's confirmation drama dominated the news, Hannity's audience routinely exceeded Maddow's by about a million people each night, Nielsen said. "I think it's a reflection of the mood of his audience," said Mark Lukasiewicz, dean of Hofstra University's communications school and a longtime NBC executive. "They can't be happy with what is coming out of Washington every day." Hannity has been associated with Trump perhaps more than any other media figure. He was scolded by Fox for being called onstage by the president and speaking during a Trump rally shortly before midterm election. The Pew Research Center found in a 2014 survey that 83 percent of Hannity's viewers identified themselves as conservative. With bad news piling up for Trump, Hannity frequently spends time criticizing ideological opponents in the media for the types of stories they emphasize, and discusses misdeeds by previous Democratic administrations. "Even hard-core Trump fans are starting to put Hillary Clinton in their rear-view mirrors and say, 'it's been two years,'" Lukasiewicz said. In a joint statement, Fox News CEO Suzanne Scott and President Jay Wallace touted the network's top status among all basic cable networks. There's precedent for a news-related slump. Maddow's ratings sank sharply just after the 2016 election, as fans distressed by Trump's win took a timeout from the news. Her ratings steadily improved as her show became a destination for Trump opponents. Ken LaCorte, a former Fox News executive who spent 20 years at the network, cautioned against reading too much into a few weeks of ratings. 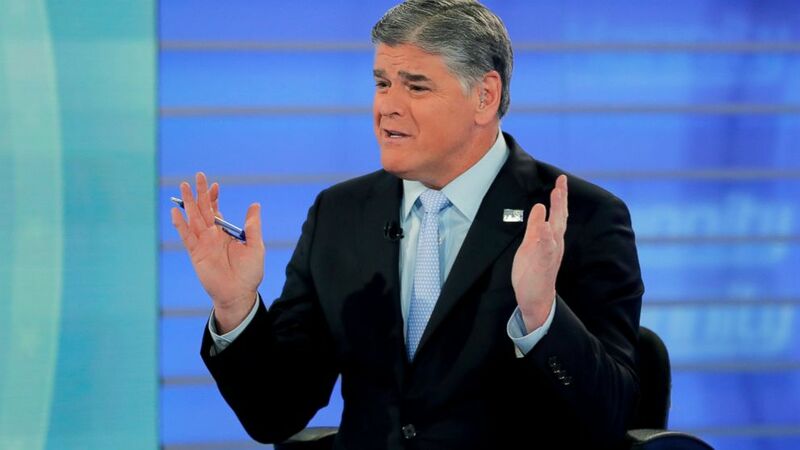 Pulling back for a broader view, Hannity's show will be the most popular on cable news for the second year in a row, with an average of 3.3 million viewers that is up 17 percent over 2017, according to Nielsen. It's certainly possible that Republicans have been less interested in the news lately, said LaCorte, who is launching a news web site, LaCortenews.com, next month . "It's probably more interesting to hear about the party you support taking over the House of Representatives because there are more interesting things to discuss," he said. Hannity also has company. Fox's prime-time schedule as a whole, which also includes Tucker Carlson and Laura Ingraham, has been down 20 percent since the election, Nielsen said. Even with Fox's recent slump, the Trump administration continues to be glory days for cable news. Fox News Channel is the top-rated network for all of basic cable for the third year in a row, topping ESPN, and will finish with the highest-rated prime-time schedule in its history. That comes despite losing Bill O'Reilly and Megyn Kelly from its lineup over the past two years. MSNBC is third overall in basic cable, and is also on pace to finish with the biggest audience in its history, Nielsen said. CNN will finish 11th, and is likely to finish with its third-best year ever.